Today, conversion-optimized websites use CTAs as the focus of their lead generation strategy. There is a direct correlation between well crafted CTAs and the number of leads that convert. Why? 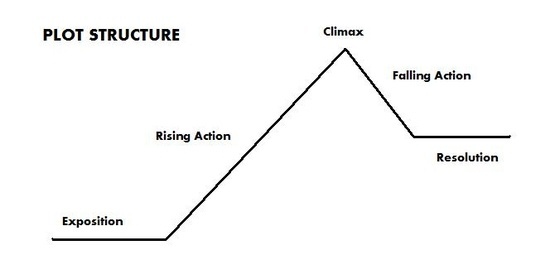 If you compared a web page, landing page or blog post to the classic plot structure, the point of climax is the CTA. That’s where it all happens! From there, leads are segmented and ideally moved further in their buyer's journey. The obvious question is, then, how do you trigger that moment? The answer isn't quite so obvious. There are, after all, a multitude of factors that play into CTA performance. But the element that we'll focus on today — and the one that is quite often most responsible for driving the conversion — is the language of the CTA. Language can make or break a CTA. It’s important to understand what language will actually motivate your audience to click and convert. Here are six ways to improve CTA language for better click-through rates. Imagine knowing exactly what you'll get when you click the button! You're so much more likely to click. One important point: This advice is not applicable submit buttons beneath forms because the whole landing page is explaining the action to take and the value of the form submission. The CTA is more than just a button. The language that leads to the button is just as important as the button itself. Often, top and middle of the funnel offers require you to provide a bit more context prior to gaining your audience's interest. Make sure this leading language is clear and focused on the goal of the CTA. For example, let's say you want your visitor to download a new ebook. Arrange the page or image such that, prior to the button you want your visitor to click, there is a leading statement such as: "Start learning about how to improve CTA language now. Click below to get your free copy of our newest ebook." Address the audience or audience member specifically and identify (in copy) what they are trying to gain from the offer. (See tip #1.) Using personalization when it is appropriate gives your site visitor or email reader the power to take action. Say, “Download your free ebook” instead of saying, “Download the free ebook." You are giving them the content. It's already theirs. Now all they have to do is take it. Use words like “Ultimate", "Secrets", or "Complete" in your titles. These will create a sense of exclusivity and urgency which will motivate the audience to click so that they do not miss out on the offer. 5. Keep it Short. But Not Too Short. Use fewer words to focus your audience on the task you want them to complete. Opt for contextual language about the content they will receive and about how you are fulfilling the promise you’ve made. Avoid jamming extraneous words into button CTAs, which would make them too long and awkward. However, don’t use too few words, consequently misrepresenting the purpose or value of the action. When people think of CTAs, their minds tend to wander — to the bottom of the page. There are a few CTA types that can have click-through rates that are just as high, if not higher, than bottom of the page CTAs. Anchor text CTAs are still a simple, yet effective option. 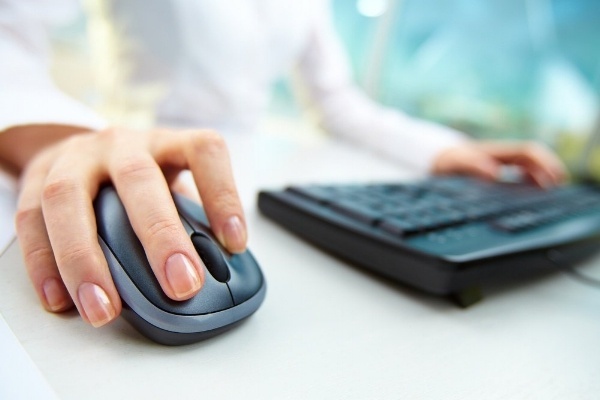 They grab the attention of the audience sooner which drives higher click-through rates. Additionally, the visitor may want to click something that directly corresponds to what they've just read. You should give them that option by including these types of CTAs in your blog posts. These CTA types also great for SEO optimization because they link internally and externally which help your website rank. Slide-in CTAs have become popular among audiences because they aren’t as invasive as other animated CTAs. Most don’t slide in until the user reaches 50 percent of the page. They slide in as a static CTA which increases the likelihood of clicks. The entire objective of a CTA is to help a user move forward in the buyer's journey. That's why every detail matters. What will motivate that user to continue? What sends them on to the next step? Is it color? Language only? The offer itself? Whatever the possible cause, language is certainly one important factor. Use the six best practices described above to create strong CTA language that will increase click through rates and generate more qualified leads. Need help improving your overall lead generation strategy? Page is a former New Breeder.